Water-powered grist mills ground the wheat that dominated Wisconsin’s Civil War-era economy. Built in 1864, this mill was one of several serving area farmers. 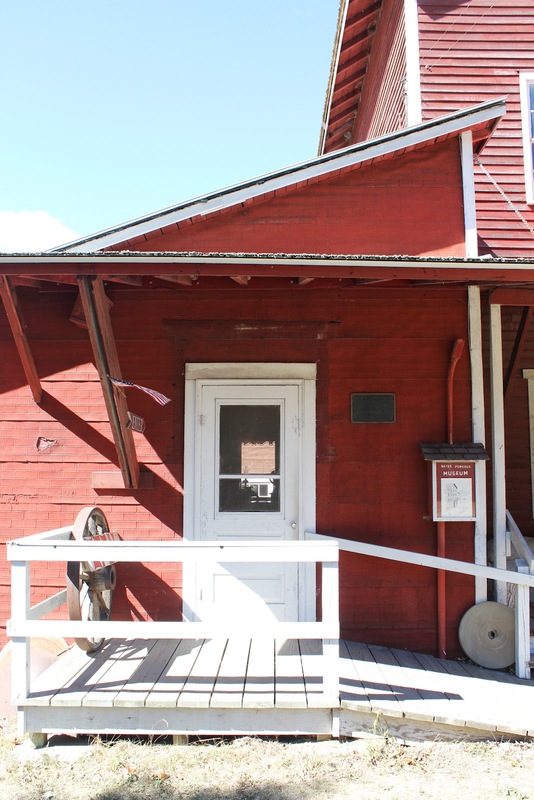 After wheat production moved westward, owners adapted the building to mill flour and grind feed. 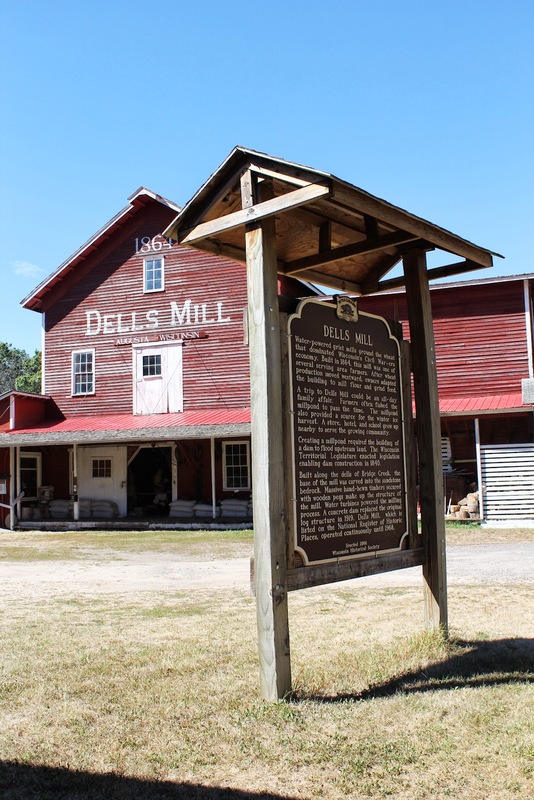 A trip to Dells Mill could be an all-day family affair. Farmers often fished the millpond to pass the time. The millpond also provided a source for the winter ice harvest. 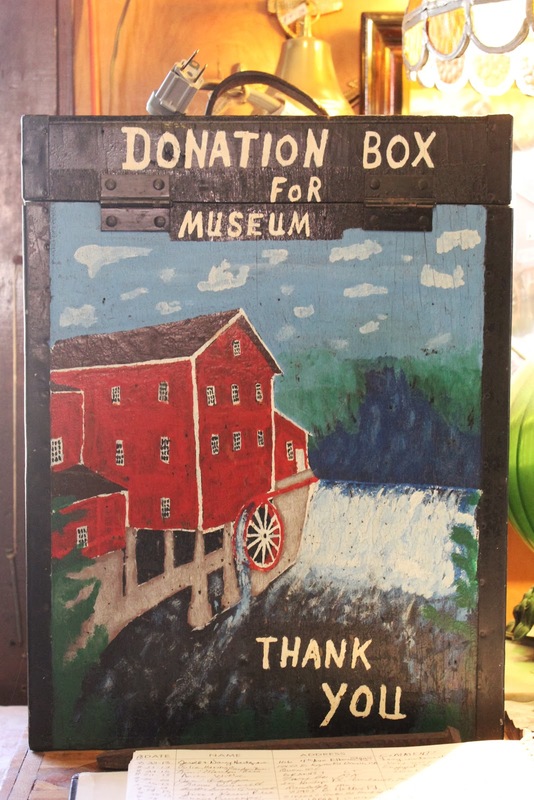 A store, hotel, and school grew up nearby to serve the growing community. Creating a millpond required the building of a dam to flood upstream land. 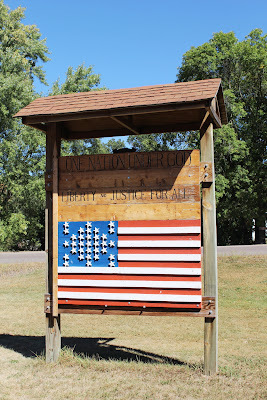 The Wisconsin Territorial Legislature enacted legislation enabling dam construction in 1840. 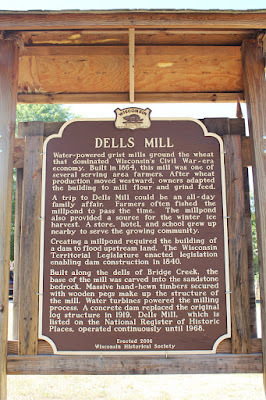 Built along the dells of Bridge Creek, the base of the mill was carved into the sandstone bedrock. Massive hand-hewn timbers secured with wooden pegs make up the structure of the mill. 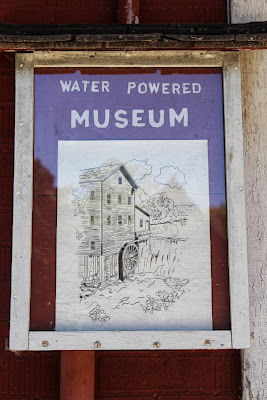 Water turbines powered the milling process. A concrete dam replaced the original log structure in 1919. 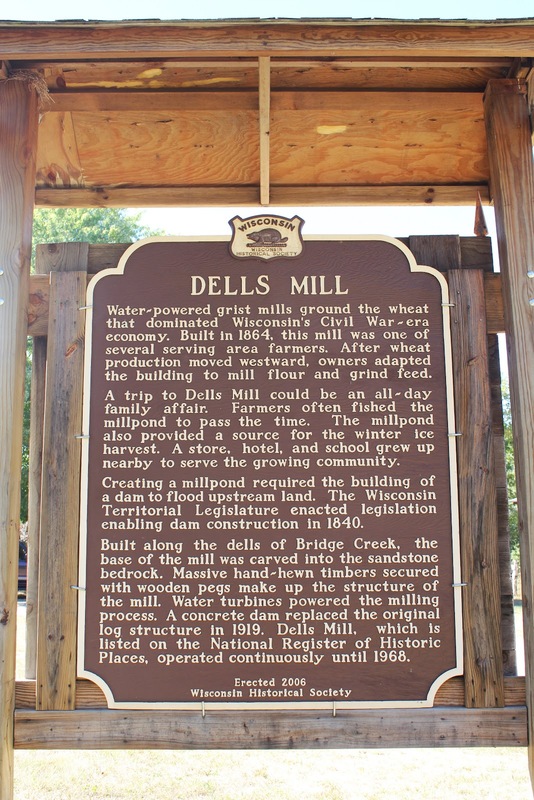 Dells Mill, which is listed on the National Register of Historic Places, operated continuously until 1968. The marker and Dells Mill and Museum are located on the grounds of the Dells Mill and Museum on eastbound County Road V, just west of its intersection with Wisconsin Highway 27, at or near E18855 County Highway V, Augusta, Wisconsin 54722. Dells Mill is on the National Register of Historic Places. 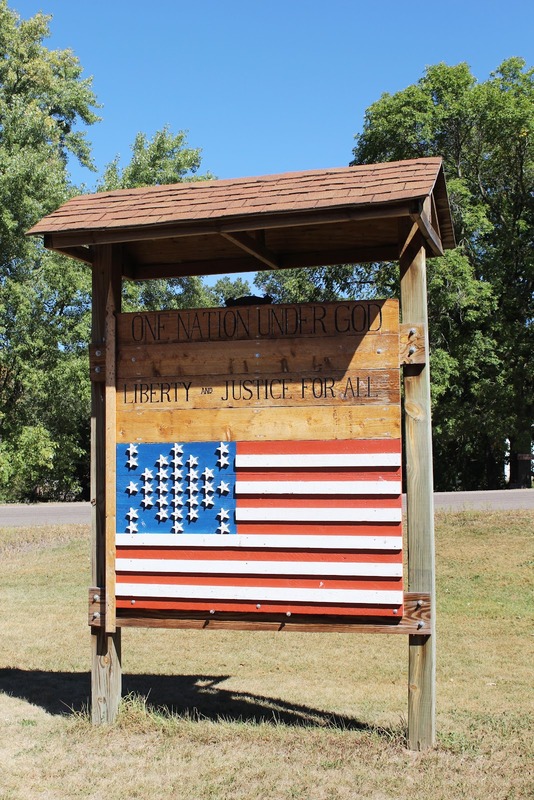 The back side of the marker. All the accolades . . .
You'll pass by this schoolhouse on the way to Dells Mill. 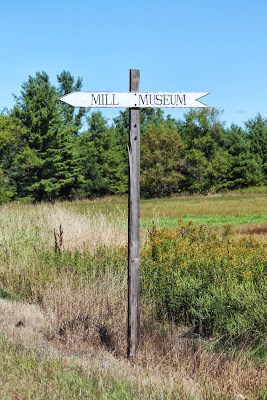 Signage leading to the marker location . . .